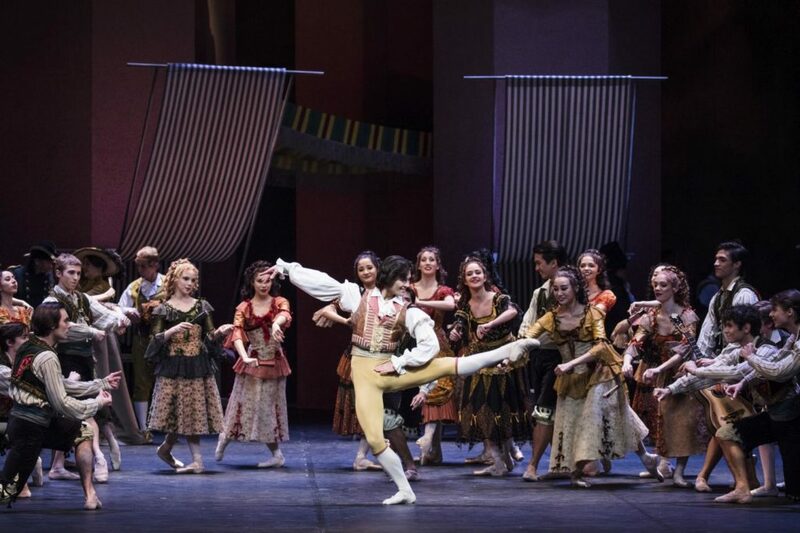 In an interview in the program booklet for “Don Quixote” Neumeier said that his vision has been to broaden the horizons of his dancers and of the audience. Noble motives that over the years have left much to be desired. Two years ago, Hamburg Ballet’s season involved only one piece by another choreographer in addition to Neumeier, while last season was all his. This season’s schedule was enriched by two foreign choreographers: Rudolf Nureyev and Jerome Robbins. Already in September a double bill by Robbins (“Dances at a Gathering” and “The Concert”) was revived. 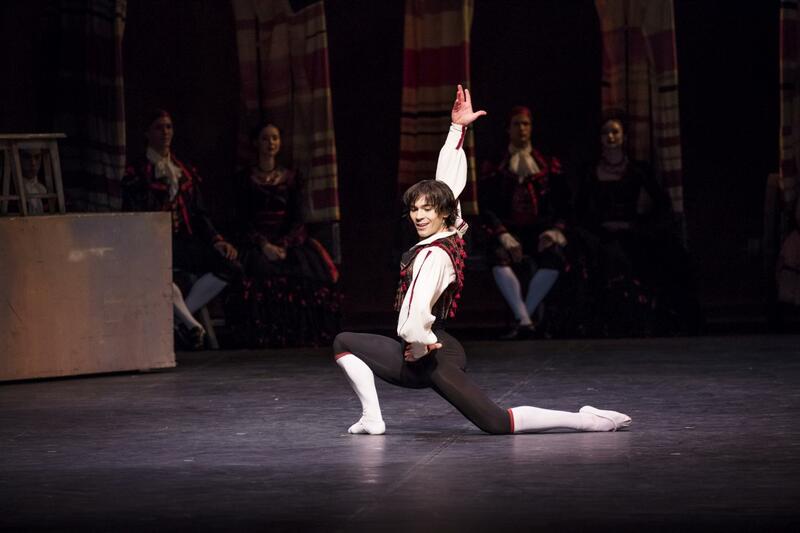 In December, Nureyev’s version of “Don Quixote” premiered. Manuel Legris had come over from Vienna to lead the rehearsals. But the question is, being primarily limited to Neumeier’s style and short of input from others, how did the company respond to the challenges Nureyev’s piece presents? Given the technical level the dancers reached, Legris must have worked intensely with them. Alexandr Trusch as Basilio delivered clean jumps and tour en l’airs with precise landings and plucky manèges. He seemed full of confidence. 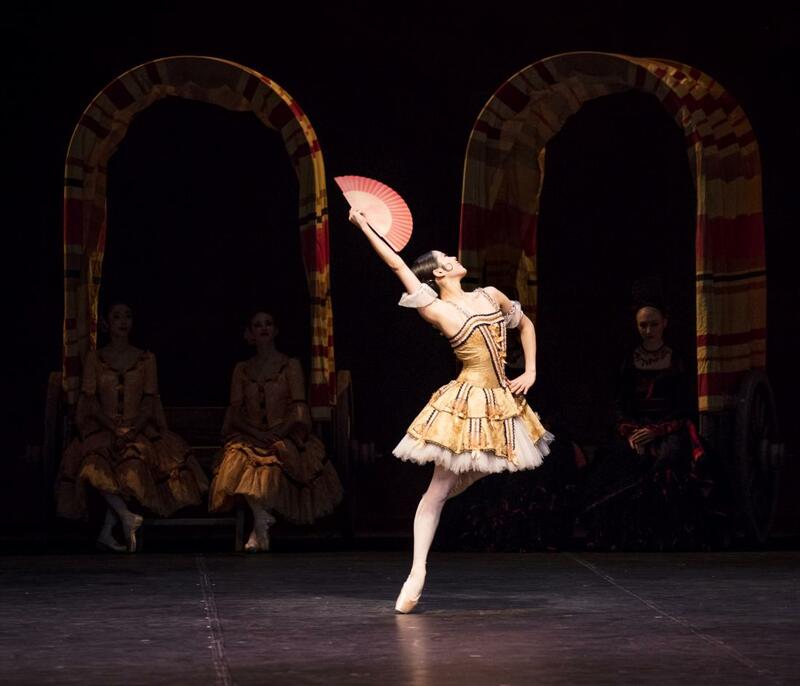 Madoka Sugai’s Kitri darted with high leaps across the stage, balanced assuredly, and played teasingly with her fan as with the pace. Both were a well matched couple. Sugai also portrayed Dulcinea, the heroine of the chivalric novels that grizzled, old-fashioned Don Quixote (Carsten Jung) dreamed of. She was beautiful and composed, but – as dreams tend to be – an unapproachable ideal. Driven by chivalric illusions he decamped from his cozy home onto a grand knight’s journey with the chubby, bawdy and gluttonous monk, Sancho Panza (Nicolas Gläsmann), in tow. 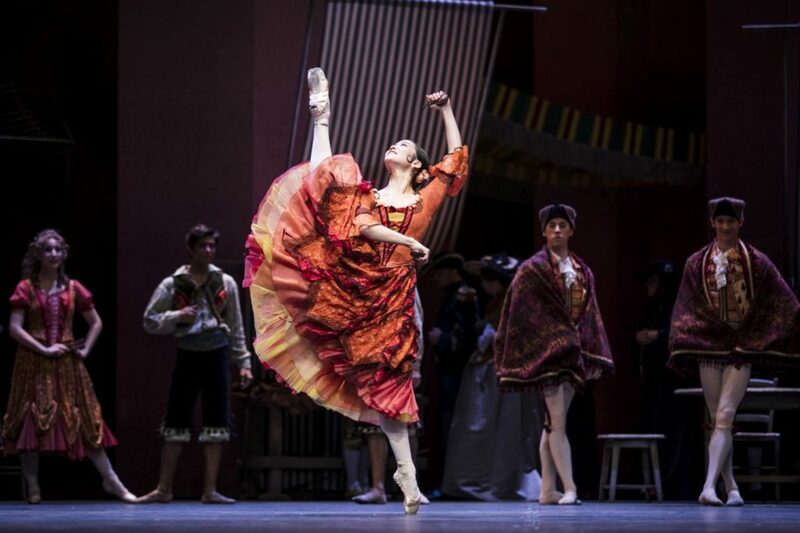 When popping up in Barcelona right in front of the inn owned by Lorenzo (Dario Franconi), Kitri’s hardheaded father, they get entangled in the father and daughter’s quarrel about who is to become her groom. 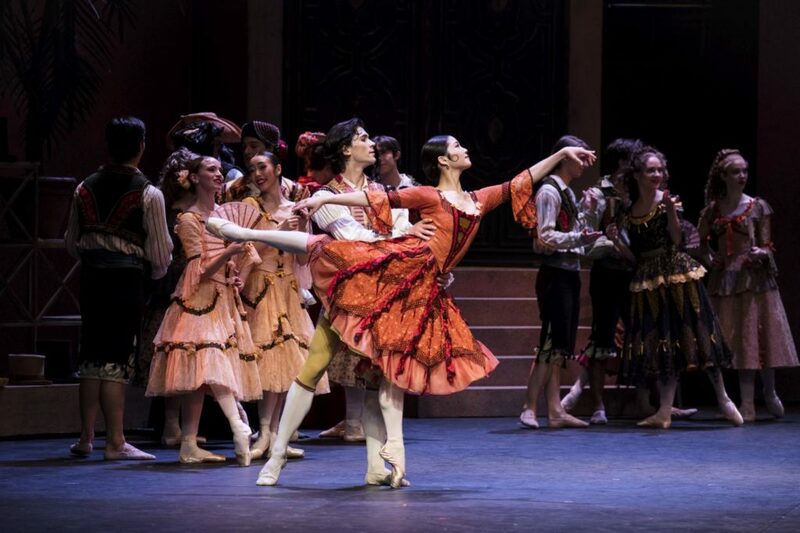 Kitri desires the penniless Basilio, whereas her father wants to marry her off to Gamache, an effeminate and ludicrous fop, but noble and wealthy. Konstantin Tselikov, a fine actor, was hilarious in this role. 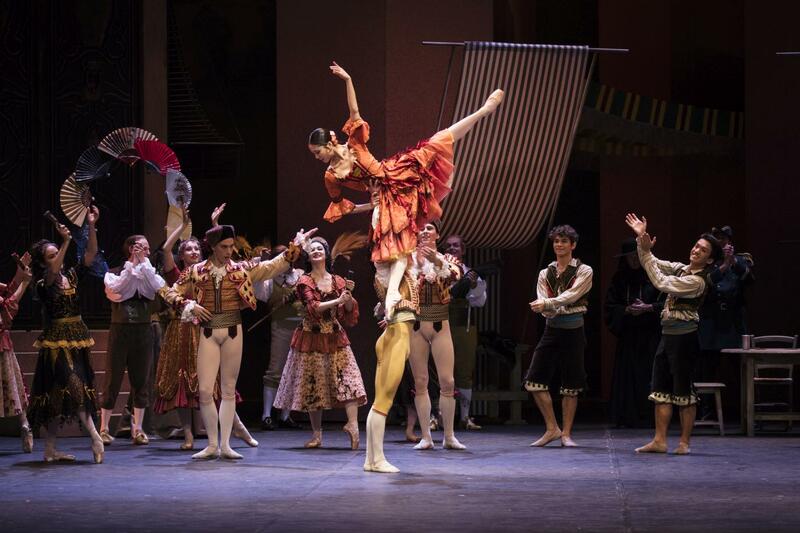 Kitri and Basilio eventually managed to slip away and find shelter at a gypsy camp, from which they escaped Lorenzo’s grasp again due to Don Quixote’s chivalric – albeit self-defeating – feat. The colossal enemy he believed to attack was in fact a windmill, in whose sails he got caught. Using a bold fraud the young couple obtained Lorenzo’s blessings at the end and love, peace and harmony were restored. Even Gamache, who had been vigorously rejected by Kitri and relentlessly tricked by Barcelona’s youth, found satisfaction. Disguised as a woman, he flirted with Don Quixote until suddenly pulling the veil off his bald head and scoffingly poking his tongue out at the self-styled knight. Revenge was sweet. Yet for different reasons the performance was uneven. The acting by the maidservants and Don Quixote’s custodians in the prologue was hammy. In Act I hustle and bustle should reign at the square in front of Lorenzo’s inn. 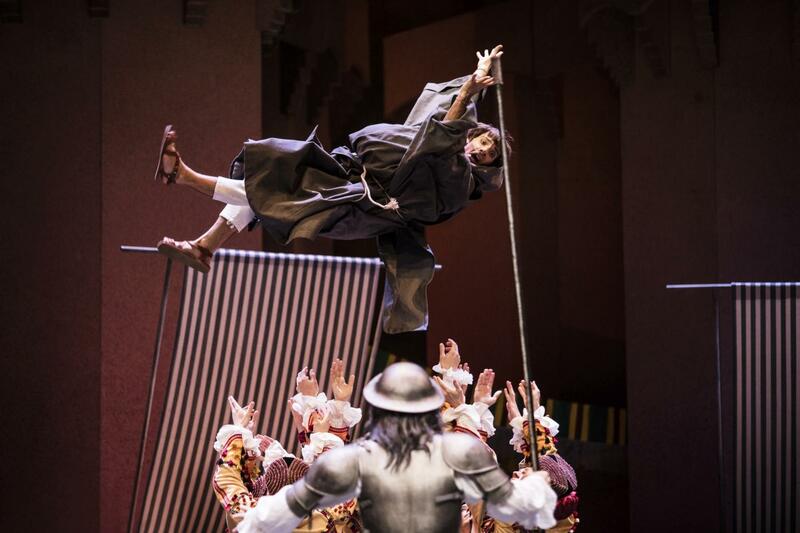 But despite dedicated acting and keen dancing by fishermen, matadors, and Barcelona’s ladies, the overall scene didn’t merge into a unity fired by an overarching cohesive energy. The happy feasting and the wedding in Act III were, by comparison, more convincing. David Rodriguez was a snappy leader of the gypsies. His troop swirled their skirts and shawls and stomped their feet on the ground with panache. The dryads in the wood, that Don Quixote dreamed of, danced duly at first, but became more and more light and graceful. Yun-Su Park as their queen melded regal poise with tender femininity. Mayo Arii’s solo as Cupid was crisp and colorful. If “The Sleeping Beauty” were in Hamburg Ballet’s repertoire it would be interesting to see her as one of the fairies. 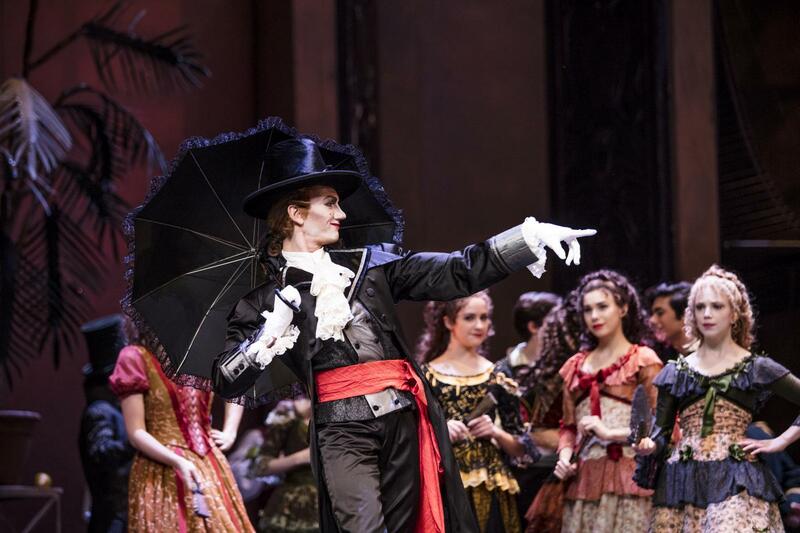 Ludwig Minkus’s music for “Don Quixote” was adapted by John Lanchbery for Nureyev’s version. The Philharmonic State Orchestra Hamburg played it under the baton of Garrett Keast. But either Keast had sometimes switched off his antenna as to stage action or a few dancers were not listening to the tempo of the music, because a few times solos ended prematurely to the music, marring the bravura in the last movement. 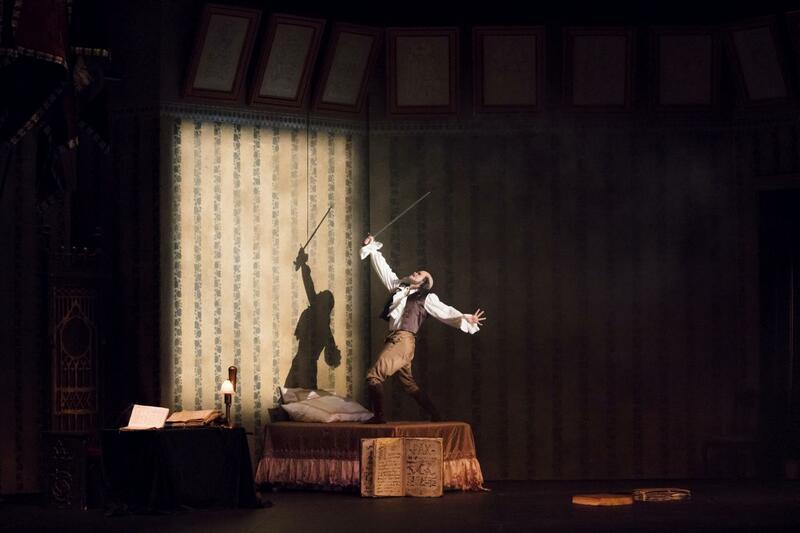 The main reason, however, why this “Don Quixote” didn’t emit sparks, was its lack of passion. And what is a “Don Quixote” without passion? Without a bubbly, exuberant, and heated-up atmosphere? Without unabashed bragging and saucy flirting? Yes, what the dancers achieved with Legris is impressive. But on top of this they now need to work up the passion from within themselves to set the stage ablaze. There was only one who radiated such fire – the tall Argentinian Matias Oberlin as the bullfighter Espada. Lucia Rios was Espada’s sultry love interest Mercedes. Set and costumes were by Nicholas Georgiadis and just gorgeous.